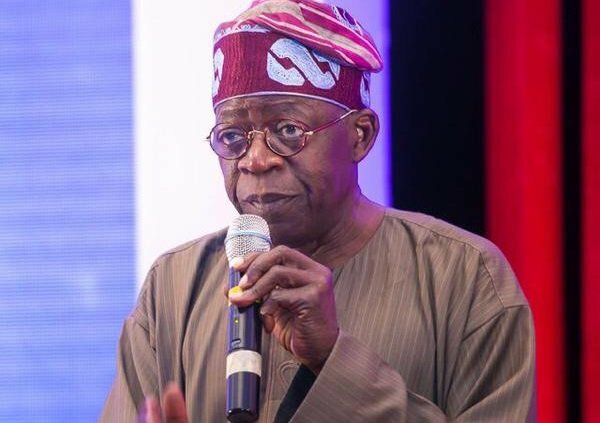 The National leader of the All Progressives Congress (APC), Bola Tinubu, has left Nigeria for London, where he would be meeting his late son’s wife and children who reside in the United Kingdom. Tinubu was said to have departed Lagos barely 48 hours after his son, Jide, was pronounced dead by medical doctors at the Lagos Island General Hospital, Lagos state. Confirming his departure, one of his relatives, Ademola Oshodi, disclosed to journalists that Tinubu “left to see the deceased family in London and would return before the eight days Muslim prayer for repose of Jide’s soul”. He, however, assured the politicians, lawmakers and other well-wishers who have been thronging the APC national leader’s home that Tinubu would be informed of their visit to commiserate with him. Some of the visitors to his home include: Minister of Information and Culture, Lai Mohammed; the Senior Special Assistant to the President on Sustainable Development Goal (SDGs), Adejoke Orelope-Adefulire; Lagos state former deputy governor, Sarah Sosan; former Commissioner for Information and Strategy, Aderemi Ibirogba among others. Meanwhile, former Presidential aspirant, Dele Momodu, and Abike Dabiri, President Muhammadu Buhari’s aide on Diaspora Affairs, took to Twitter to commiserate with the Tinubus over the demise of their son. Previous Fayose has six serious questions for Buhari .